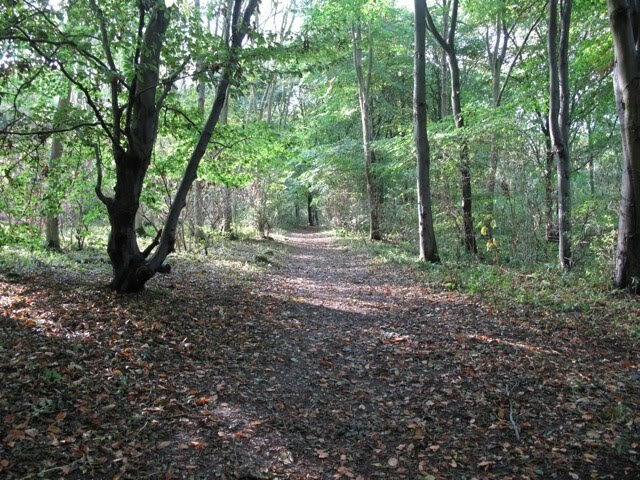 Woods now cover less than 3% of East Yorkshire. They are tiny specs on a blanket of arable land. 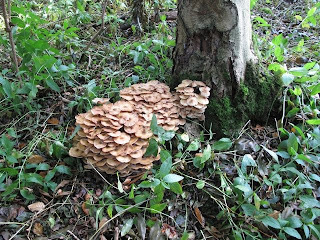 A few Woodland Trust woods try to preserve this dwindling resource. Amongst these is Nut Wood, a little ancient semi-natural woodland, parts of which date to the 13th century. I have always visited it in the autumn, but it is known locally as Bluebell Wood and the display of wild flowers in spring is worth a visit. Flora includes Lords & Ladies, Wood Anemones, Wild Garlic and Dog's Mercury. Amongst the trees there is Ash, Sycamore, Oak, Beech, Spruce and coppiced Hazel, and it is surrounded by hedgerows with Hawthorn and Elder. The northern section was planted more recently. There are remarkably big old stumps scattered in the wood, but the size of the living trees is no match for them. Today we went in search of hazel nuts nibbled by rodents. There is a Dormice survey going on at the moment, although, unfortunately, dormice are extinct in East Yorkshire so we knew we were unlikely to find signs of them. There were lots of hazel shells left over by Grey Squirrels, and possibly some by Wood Mouse. 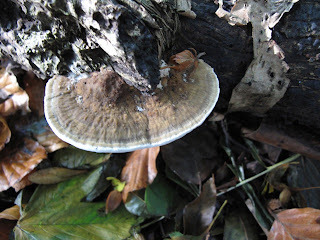 We saw a number of fungi as well. 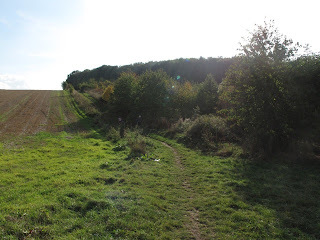 For more info check the Woodland Trust management plan for this site. For a 5 mile walk in the area see Walking the Riding.